ELK Studios has a major surprise for slot game aficionados in the form of a brand new game. 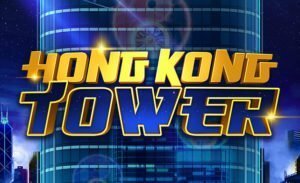 Known as Hong Kong Tower slot, the game is themed around the eponymous and iconic building in Hong Kong that even finds mention in the Guinness Book of Records on account of its stunning sound and light show. It’s no surprise therefore that the game has a fabulous animation with an exciting soundtrack to match. Its symbols are fluorescent blooms that look stunning against the backdrop of the tower. Overall, ELK Studios has managed to create a game that is larger than life but still manages to fit well on a smartphone screen. Like all the latest slot games, and also many that have been updated lately, this one can be played on a wide range of devices including Macs, PCs, smartphones, and tablets. Clearly, a lot of effort has gone into creating a user-friendly experience. The brand new Hong Kong Tower slot game has 5 reels and a whopping 99 pay lines. The game is all the more exciting because it has a number of value additions such as bonus symbols as well as a bonus raffle. Triggered by Yin Yang symbols, this bonus raffle gives really huge wins to fortunate players. Players can try this exciting new game for as little as 20p per spin although the maximum wager is £100 per spin. This gives novices and high rollers alike a good reason to try out the game. As a matter of fact, this is a high volatility game that is perfect for players who have an appetite for risk because the wins that do occur tend to be massive. Analysts have pointed out that the spins give up to 3016 times the wager on average which is very impressive indeed. Slot games fans will enjoy checking out the Wheel of the Sky Bonus feature because it gives them extra lives to enable them to keep playing. The game has three towers with a Wheel of Fortune right at the summit of each tower. Players get to spin the wheels for a chance to grab some cash prizes. The cash prizes increase with every wheel, with the third and final one giving prizes up to 500 times the bet. The bonus feature is triggered when at least three red Bonus Ying Yang bonus symbols land on the reels. It can also be launched by a single blue Mystery bonus symbol. Players are also awarded extra lives depending on the symbols that land on the reels. These extra lives give them the chance to spin the reels again and again until they score a win. The game also has a Mystery feature. During this, the logo symbol of the Hong Kong Tower will change into any other symbol. This increases the chances of getting a win. 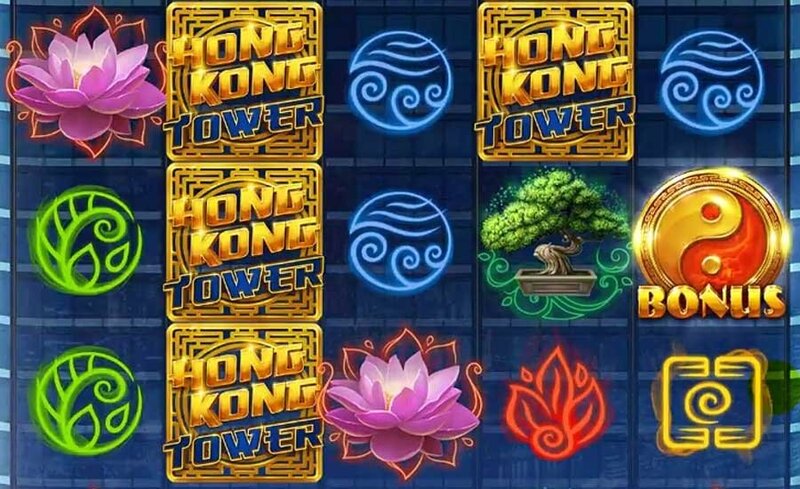 Players will have no problem at all locating the Hong Kong Tower slot game. It is featured on all casinos powered by ELK Studios. These include Slotjoint Casino, Video Slots Casino, and Larry Casino. ELK Studios is based in Stockholm. It has built up a fine body of work over the past few years thanks to its dedicated design team. Not only does the studio focus on creating fabulously beautiful slot games. But it also ensures that they have excellent gameplay that can keep players engrossed. The company has also invested in state-of-the-art servers. It ensures that the huge volumes of transactions can be processed without any interruption. ELK Studios’ games already have quite a dedicated fan following. But the latest game is sure to enhance its image further.